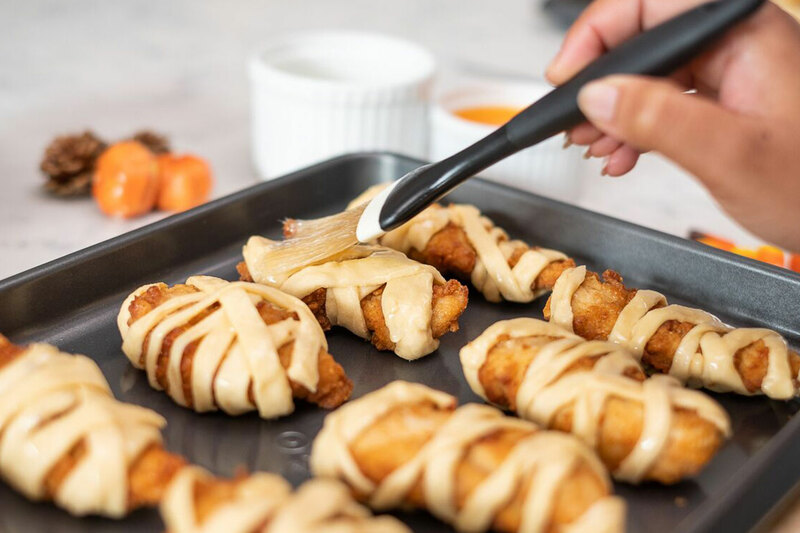 Transform Chick-n-Strips with pre-made dough, edible eyes and your favorite Chick-fil-A sauce! The key to any good Halloween gathering is to be creative -- to think outside of the box or, in this case, a tray of Chick-fil-A Chick-n-Strips! 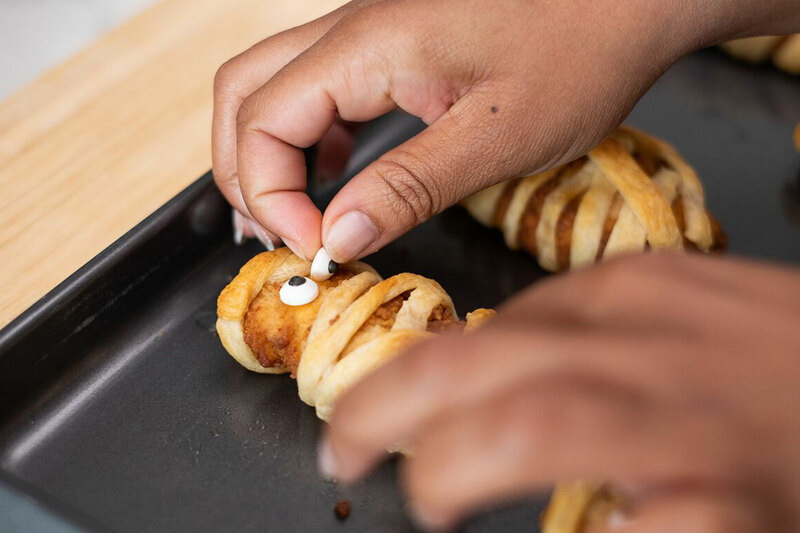 With a little help from crescent dough, edible eyes and a dab of your favorite Chick-fil-A sauce, Chilled Chick-n-Strips can be transformed into a spooky grab-and-go snack. 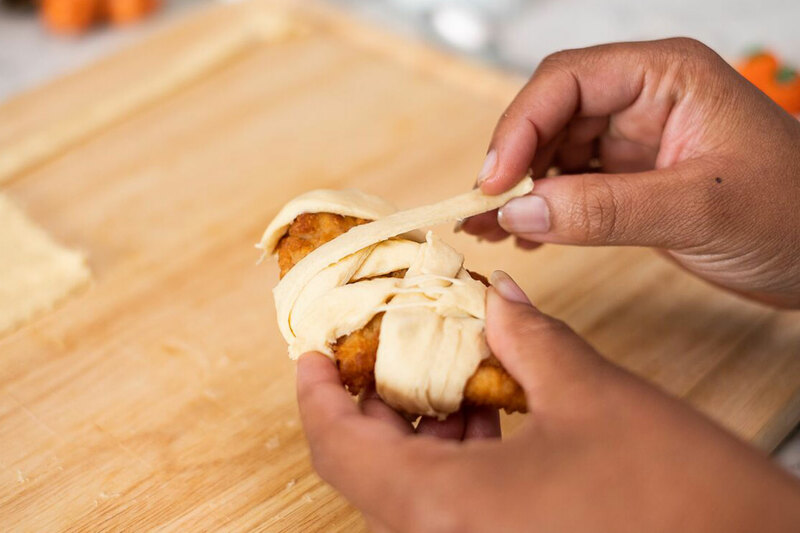 Follow the instructions below to mummify this Chick-fil-A fan favorite. 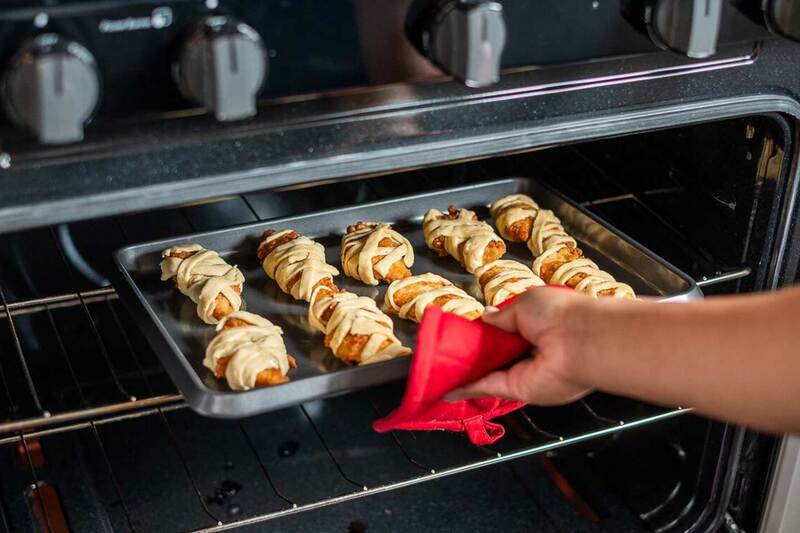 Bake 10 to 12 minutes or until dough is light golden brown and Chick-n-Strips are heated throughout. 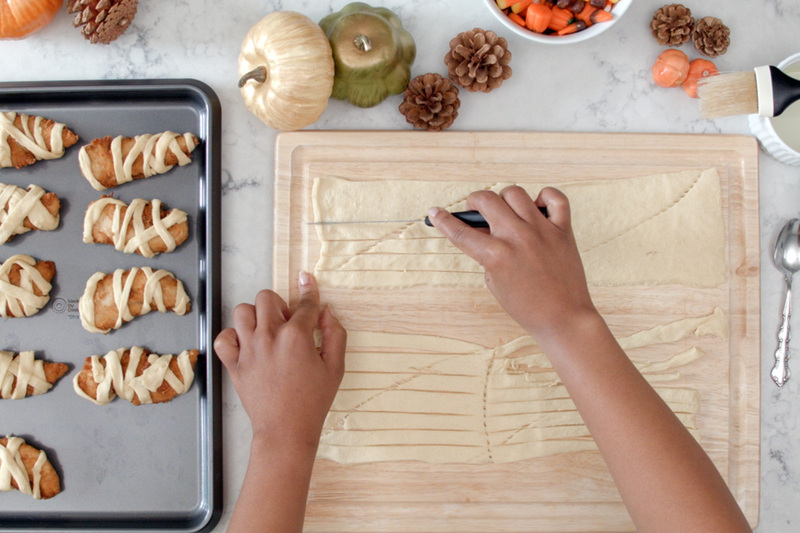 Make your Halloween spread complete. Satisfy your spooky sweet tooth with Chocolate Chunk Vampire Teeth and transform oranges into a frighteningly nutritious snack with Fruit Tray Jack-O’-Lanterns! Hosting a crowd this Halloween? We’ve got you covered. 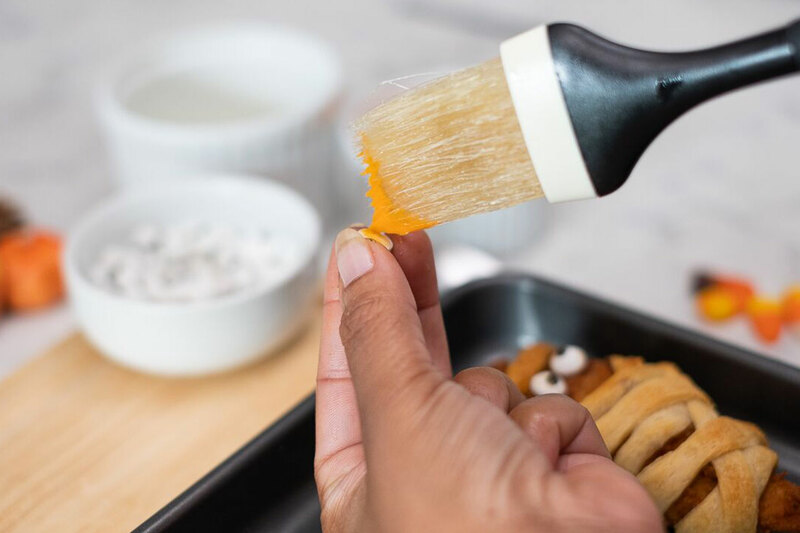 Not only are Chick-fil-A’s Chocolate Chunk Cookies scary good, they help make for a Pinterest-worthy Halloween treat. Order a small cookie tray from the Chick-fil-A catering menu to serve 12, or a large tray to serve 24. Then follow the steps below to add marshmallow teeth for an easy vampire-themed treat!